We are looking to see if we have interest in doing a CCF14 this year in September. Yes, it is early but we need to reserve the area. If there is enough interest, we can reserve the area (which comes at a cost) so please let us know if you are sincerely interested. We will be doing the Chow Chow Fest in September...we usually manage the event details via e-vites so if you are interested in attending, please email me via cc.org with your email address. If you were at the last event, I should have your email address but if you're not sure, send it to me anyway. I am looking forward to see photos. Always enjoyed seeing the chow fest photos. I hope all will have fun on the 21 of next month. Hopefully the weather will be good. Have a wonderful time all of you and hope to see lots of photos!!!! We had a nice ChowChowFest on Sunday. 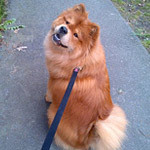 The weather was perfect for our furry Chow Chows, who were so relaxed! Here is a photo of the memorial table for the chows we loved and recently crossed over. We will post more pictures and maybe a Smilebox slide show soon. Great day yesterday! Thanks to all of the organizers. My group photo didn't turn out very well, hoping someone else took a better one. Not many posters here, not like in the old days. I am glad to hear that some of you managed to have a chow fest. Looking forward to photos. We had a great time at Chowfest too even though it was bittersweet having lost Boogie just a week before. I am so happy that he was able to be part of the memorial. Thank you! His candle is on the shelf next to Fozzie's. I had my handful with my 2 year old granddaughter and Teddie so I didn't even take 1 picture this time. 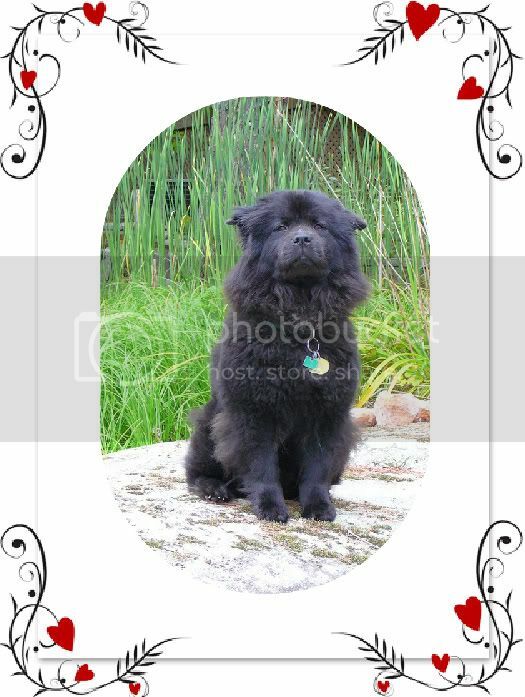 Wonderful photos , so great to be able to place a face with a chow name !! You do a wonderful job organizing this event each year! Everyone looks great and looks like everyone had a good time too! Such joy our chows bring to all of us! Thank you, Zhuyos mom! Yes, it was a fantastic day! I owe a lot to you for your support in making this event happen while I struggled with the grief of losing my Nahkohe. All the Chow Chows there were excellent Chow Chow ambassadors and took all the ooh's and ahh's from the passerby's in stride. You are welcome. That's what friends are for! I too am ready to have another CCF. It's all about that daRn "Chow Chow Fever"! Boogie and Linda wrote: We had a great time at Chowfest too even though it was bittersweet having lost Boogie just a week before. I am so happy that he was able to be part of the memorial. Linda, we are thankful you were able to join us. I hope being with us soothed your grief a little. It was also fun to meet your mini-mini me! She's adorable! As for our dear Teddie, I really think it helped him be with the other chows and to be in a place he's had fun at for many years. Plus, he made a new friend in Paul!! scrpbk1 wrote: My group photo didn't turn out very well, hoping someone else took a better one. Karen's was quite far away. But my software was able to resize it larger than the original. The family photo of you and Ozzie turned out really well! As Karen said, the chows were great ambassadors. They were ALL so friendly!!! I don't know if it is because they might remember me as the Game Master from past CCF's or what. They all greeted me with bright eyes and smiles. It's like I was an old friend! So much fun!! !